WASHINGTON, DC--(Marketwire - May 14, 2008) - AmericanLife TV Network™ (http://www.americanlifetv.com/), the cable network devoted to the Baby Boomer generation, announced today, ALN Senior Vice President of Marketing, Darlene Chapman-Holmes will be honored by NAMIC (National Association for Multi-ethnicity in Communications) on May 19, 2008 with a Luminary Award for her outstanding leadership in the Cable industry. The NAMIC Luminary Awards recognize industry leaders for their commitment to advancing the NAMIC mission by promoting multi-ethnic diversity within their companies and giving back to the communities in which they work and live. Scheduled for Monday, May 19, 2008 from 7:15 a.m. to 8:45 a.m., the 2008 NAMIC Luminary Awards will be presented at the NAMIC Annual Awards Breakfast. Patrick Esser, President, Cox Communications, Inc. serves as Honorary Chair for the event. The event is held annually in conjunction with The Cable Show presented by the National Cable & Telecommunications Association (NCTA), at the Morial Convention Center in New Orleans, Louisiana. "Darlene has always been a great asset to our executive team at AmericanLife TV, she has exemplified excellence. We are so proud that she is being bestowed this honor by such a prestigious organization as NAMIC who is so highly respected in the industry," says COO, Larry Meli. 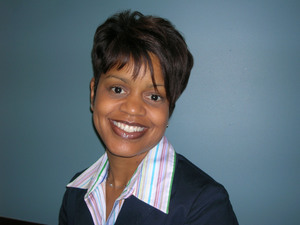 Darlene Chapman-Holmes currently serves as Senior Vice President of Marketing for AmericanLife TV Network in Washington, DC. In her position, Chapman-Holmes manages both consumer and affiliate marketing, and works closely with Affiliate Sales on negotiations and promotion of the network. Previously Ms. Chapman-Holmes worked as a senior executive at Black Entertainment Television, Discovery Channel, MTV Networks, The Learning Channel and Nickelodeon, Nick Jr., and Nick at Night. In addition to her professional career accomplishments, Chapman has shared her talents with several organizations, including; Cable Television Association of Marketers (CTAM), The Executive Leadership Council, Emma Bowen Foundation, National Association of Minorities in Communications (NAMIC), Women in Cable Telecommunications (WICT), and Cable Positive Washington, DC Chapter to name a few. She has also served twice as conference facilitator for the Women in Cable's Management Leadership Conference. In 2006-2007, she was in the class of XV of the Betsy Magness Leadership Program and in 2007-2008 was chosen to be an advisor to class VXII. She sits on the Women in Cable Telecommunications board for the DC/Baltimore Chapter. Chapman earned a B.S. degree in Advertising and Marketing from the School of Journalism at the University of Maryland. She lives with her husband, and their two daughters in Maryland. NAMIC (National Association for Multi-ethnicity in Communications) is the premier organization focusing on ethnic diversity in the communications industry. Founded 25 years ago as a non-profit trade association, today NAMIC is comprised of nearly 2,000 professionals belonging to a network of 19 chapters nationwide. Through programs, events, and initiatives that focus on education, advocacy, and empowerment, NAMIC champions equity and inclusion in the workforce, with special attention given to ensuring that the leadership cadres of our nation's communications industry giants reflect the multi-ethnic richness of the populations they serve. For more information on NAMIC-Tennessee and NAMIC-Carolinas, or to view the complete list of NAMIC chapters and upcoming events, log onto http://www.namic.com/. AmericanLife TV Network™ (www.americanlifetv.com) is the cable network devoted to America's baby boomer generation. The network delivers classic TV, lifestyle, original and socially responsible programming that addresses compelling issues important to today's mature audience. ALN offers VOD and broadband programming. For more information, or to get AmericanLife TV Network™ call your local cable or satellite provider or visit us at http://www.americanlifetv.com/.